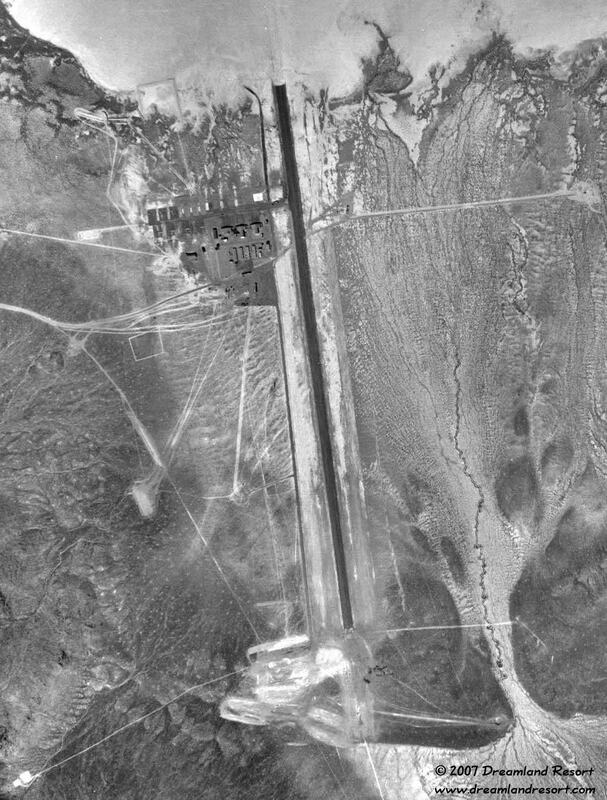 This 1959 USGS aerial photo shows the original base at the height of the U-2 program. There are only three hangars and about a dozen support buildings at what is now the north end of the base. The original U-2 runway later became a taxiway when the new runway across the dry lakebed was built in the early 1960's for the A-12 program.